LOUISVILLE, KY (WAVE) - Christian Care Communities announced a gift of $235,000 from prominent Louisville businessman Charlie Johnson in honor of his late wife, Bettie L. Johnson on Wednesday, September 28. Mrs. Johnson was a tireless educator, philanthropist, and visionary advocate for older adults in the West Louisville community. 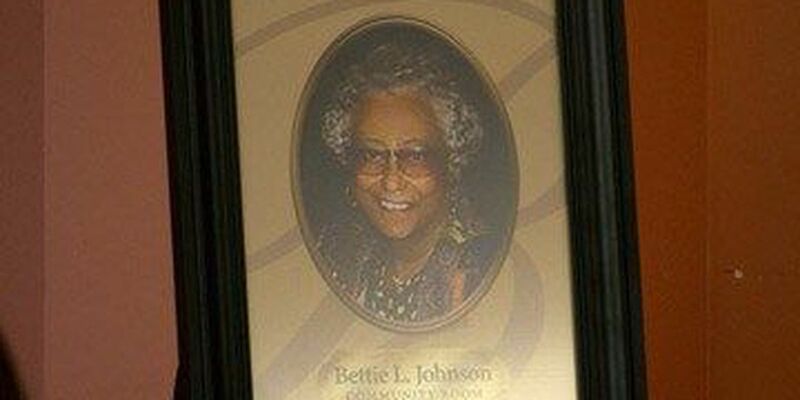 In recognition of Charlie Johnson's gift, the community room at Christian Health Center West has been renamed and dedicated in honor of Bettie L. Johnson. "We're extremely honored and thankful for Charlie Johnson's charitable gift," Mary Lynn Spalding, President and CEO of Christian Care Communities said. "His gift underscores Bettie's advocacy and work on behalf of older adults and bolsters our efforts to further invest in and grow West Louisville's only skilled nursing care center." Christian Health Center West is located in the heart of West Louisville. The center provides long term nursing care and physical, occupational and speech therapy. The center also has an Adult Day Center, which provides on-site personal care, nursing care, and activities in a home-like setting. "The people that are here, they need to be here," Charlie Johnson said. "It really doesn't take a lot of understanding to know that to help somebody you just try to do it." The $235,000 gift forgives a loan that allowed Christian Care to acquire the Christian Health Center West in 2011.